I wondered if anyone cared. If anybody out there would consider my despair.For you did not see me die, and you did not see me bleed. You did not hear me cry before you ate the meat that you don’t need. You did not watch them kill me. You could not feel my pain. You will try not to think of me, as you blindly eat again. I was the cow you ate on Monday.The pig you had the midweek. I was the turkey you ate for Christmas. I was the calf you had to eat. I was the chicken in your sandwich, and the duck you had with tea.I felt pain beyond belief, but you never thought of me. Because thinking can be painful, and you refuse to see, that for every time you eat meat, those animals must bleed. The cow was killed for Monday. The pig was butchered too. The turkey lived for 16 weeks, and the baby calf had died for you.The chicken lived inside a cage. The duck could hardly move. 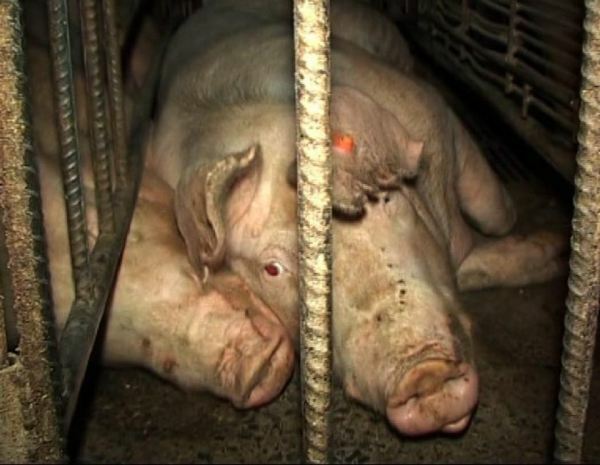 All this needless suffering occurred for so called food. I fail to see a reason, as there is no need. 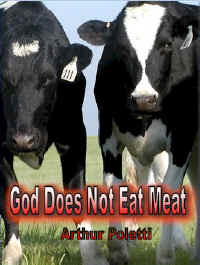 When humans eat my meat, it is purely for their greed.You may think you’re above me. That you have the advantage. But a kind, innocent creature, is better than a SAVAGE!! So next time you’re out shopping, try to feel some guilt. For the animals that have died, for your eggs, your meat and milk.My heroes are those people, who will not bite into me.So I ask a simple favor. Please stop eating meat.I’m asking for the cows, the pigs and all the sheep. Who are much more important than just some cruel unhealthy treat.They can’t speak themselves, so please let’s be their voice.Every animal born into this, for them there was no choice.For you did not see me die, and you did not see me bleed. You did not hear me cry, for the meat that you don’t need. If Hell Really Does Exist Most Humans In The World Probably End Up There! If Hell Really Does Exist, Most Humans Go There. Are you one of the millions of callous, unaware, delusional, immune from empathy, ill-fated humans in the world that willingly and thoughtlessly condones and supports some or most of the massive, *completely unnecessary* hideous forms of never ending torture and brutal premature deaths of millions of precious creatures every day? The most repulsive, gruesome, unimaginable tragedy’s that happen every day are overwhelmingly supported by most people in the world, including *most religious and government* leaders. The never ending worst possible kinds of completely unnecessary forms of cruelty and sufferings forced upon the innocent, helpless, animal race represent the worst crimes in history. Wise up now!! Do not be unwilling or reluctant to know the real truth. Become aware now of why you and those whom you love should not participate, support, promote, or condone any of the many different types of despicable and sickening forms of cruelty to animals. You might be shocked to know that in the United States alone approximately 660,000 animals are killed for meat every hour. A surprising quantity of animal flesh is consumed. The average American consumes in a 72 year lifetime approximately 11 cattle, 3 lambs and sheep, 23 hogs, 45 turkeys, 1100 chickens and 862 pounds of fish. Bon appetite! Please read the articles and view the videos that follow revealing some of the many *man made* disgustingly cruel forms of torture and death to millions of precious and irreplaceable animals every day and than ask yourself do you really want to continue supporting any of this? Do you really think that in the end you will get away with it? Being the Pope is not easy. Sometimes, with God’s guidance you must go against the status quo when you are certain you are right about a controversial subject and take a FIRM stand against overwhelming odds. No matter what the majority of the people in the world may think or say. Especially when YOUR HOLINESS KNOWS you are supporting and promoting THE WILL OF GOD. 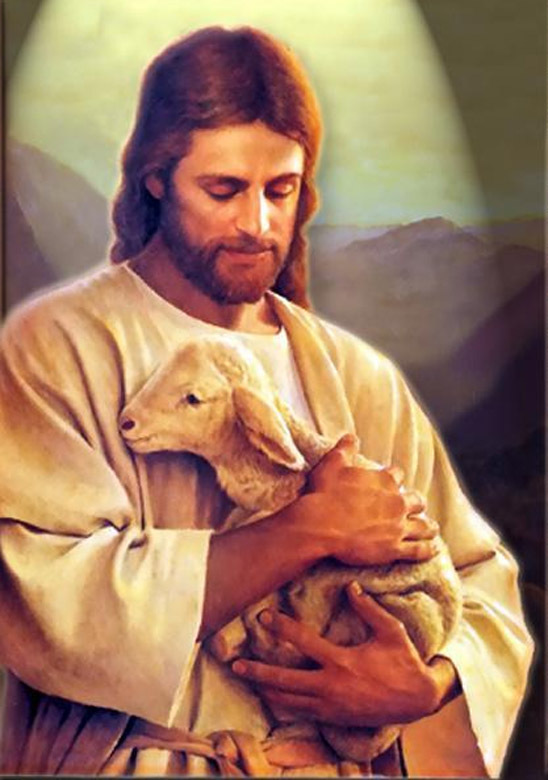 I am sure you will agree that God is the supreme symbol of compassion, kindness, life, and love for all creatures with a soul, which proves why God wants all animal factory farms and slaughterhouses to close, yes? Your Holiness, for this reason you should seriously consider the significance of God’s will and the multitude of benefits that would most certainly occur if you stopped eating animal flesh and dairy products and announced to the world that you are A VEGAN. Your announcement that you have stopped eating animal flesh and dairy products will promote — VEGANISM — like never before, and it will convince millions of people that you are PERSONALLY SUPPORTING your love and GOD’S LOVE FOR ALL ANIMALS, setting the precedent for many religious leaders and government officials throughout the world to appreciate and emulate. Holy Father, your historic action of becoming the FIRST VEGAN POPE will send a powerful message throughout the world, like a “lightning bolt from heaven,” that God and “Your Holiness” want factory farms and slaughterhouses to close ending the hideous torture and MASS MURDER of billions of God’s precious creatures. Many immediate urgently-needed benefits for animals, humans, the earth, and the earth’s atmosphere will most certainly occur as well as a multitude of endless residual benefits, all because of your COURAGEOUS announcement. Thank you, Your Holiness, for your important consideration and most needed action promoting *THE WILL OF GOD* and GOD’S love for all animals. Until Americans stop torturing and murdering God’s creatures by the millions every day using any number of methods of hideous cruelty, society and the earth’s environment will continue to suffer the unfortunate consequences that go with supporting or committing these sick crimes, says author Arthur Poletti. 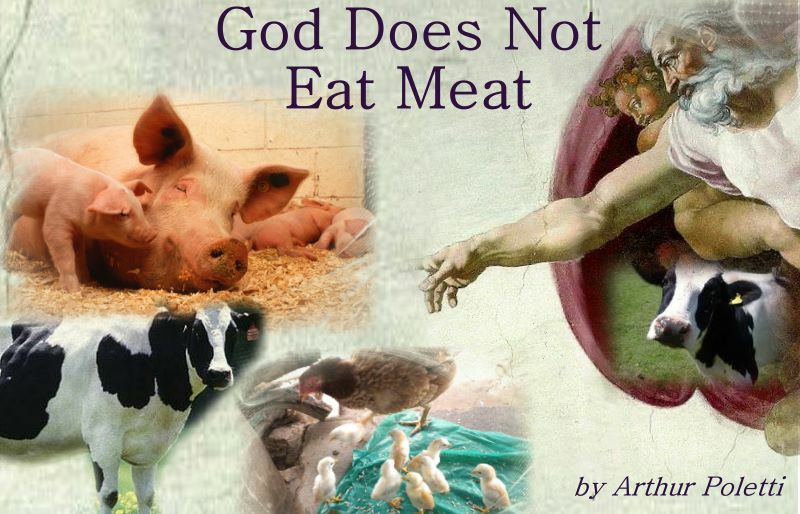 The United Nations Food & Agriculture Organization issued a stunning report about global warming on November 29th that a large number of people throughout the world need to know about, says Arthur Poletti, author of God Does Not Eat Meat. For the full United Nations Food & Agriculture Organization report, click on http://www.fao.org/newsroom/en/news/2006/1000448/index.html which reveals God’s first commission on the sixth day of creation, when God had created everything including land animals and humans, and those who read and consider the merits of the following information, will understand why God – who is the supreme symbol of kindness, life, and love – unequivocally wants factory farms and slaughterhouses to close,” Poletti says. TAKE HEED ALL RELIGIOUS LEADERS. WHICH MAY DETERMINE WHERE YOU WILL SPEND YOUR AFTER-LIFE!! TAKE HEED, and beware all religious leaders like THE POPE who eat animal flesh, or dairy products, or eggs while professing to be doing God’s work. Your sacrilegious deeds of openly condoning and supporting the completely unnecessary insidious cruelty, torture, and mass murder of God’s precious creatures throughout the world make you guilty of the WORST kind of cardinal SIN. This story presents a case for the importance and absolute necessity of continually attempting to protect and preserve all animal life. Hopefully, the story provides reasonable and believable predictions of a multitude of positive affects that could occur as a result of REMOVING ALL MEATS FROM THE FOOD CHAIN for humans and animals in the United States, and in as many other countries as possible. Together we will take a journey on a path rarely traveled. During our exploration we will utilize words of wisdom expressed by some of the most famous people in history to help create a story that unleashes a fierce battle between two entirely different societies. Within this format we will theoretically deploy the awesome power of non-violence to wage a war against life’s most formidable insidious adversary. Cruelty, the abetting loyal servant and evil partner of violence, is the most devastating and most difficult dilemma for human and animal life to contend with, and has proven to be one of the most difficult problems to solve or even control. Every person should continually inspire their consciousness to inquire and seek their own personal truth about life’s most important issues. Only then can one develop the feeling of real compassion that comes from understanding and wisdom. The decisions you make after reading this story could reveal some of your deepest true feelings, especially concerning the value and importance of every animal’s life.